Growing a modern urban garden is a fun way to give your yard a unique touch that shows your ability to landscape with control and minimalism. Boxwood is a great, compact little plant that can be heavily manicured into whatever shape or design you want it to grow into. Most modern urban gardens use boxwood to create edges, borders, spheres or squares. 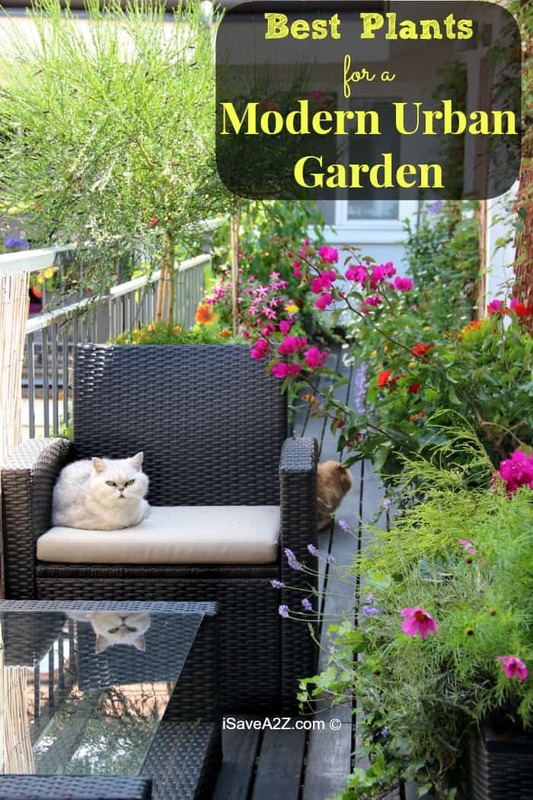 Boxwood is also used to create corners or paths that can break up the garden or connect different areas in a particularly long urban backyard. Miniature Japanese Maple trees are a great choice for their color and size. The trees are compact, can be trimmed and added to the background or placed front and center. Modern urban gardeners love this tree variety for its color and delicate leaves that have a feather like appearance. Espaliered trees, of any variety, are a great modern garden addition because they showcase the control and structured lines that you want to emphasize in an urban garden. By creating a backdrop for the garden, you can also cover up an unsightly wall or add color with a tree choice that is also blooming. Try an easy to grow fig or apple tree, which can be tied off and secured to a wall. Small succulents packed together into large or small pots can be placed around the garden, in beds and on tables. Mix different succulents and include those that creep, create large blooms with their leaves and varieties that bolt upwards. The unique shapes and leaves of succulents give any urban garden an instant shot of modern appeal. Modern urban gardening is a lot about creating lines and visual interest, and ornamental grasses are visually interesting. Instead of bushy grasses, look for anything that is high growing or short but has a unique color or interesting leaves. To create an impact, clump these together or create lines or walls of grass with several planted in succession. Allium plants give gardens a clean, fun and modern shape that some gardeners consider to be a bit whimsical. Look for large and bold varieties, with only one or two shoots per plant that will bloom and leave behind wilted flower buds that can be left in the garden because they add an element of interest. Look for large white and pink alliums that can be added in combination to bloom for a huge part of the growing season. There are a lot of evergreens that make great additions to urban gardens with a modern design. Alberta Spruce has a nice tight and compact shape that is conical and can be used to create drama and interest. If you do not have the benefit of a fence, line the evergreens along the sides of the yard to create a natural growing privacy screen. Be sure to check out our Raised Garden bed and Daisy Garden posts! I think you will like them! One of our favorite gardening books is the All New Square Foot Gardening, Second Edition: The Revolutionary Way to Grow More In Less Space . Gardening Tip: I don’t think I could garden without the use of my Garden Bucket Caddy I purchase last year. It has been extremely helpful and I highly recommend it! I put my cell phone in one of the spaces so it doesn’t get dirty or wet. I love it! By Jennifer on March 23, 2014 Gardening.